Everyone has the right to be safe. No one should experience abuse. Abuse can sometimes be hidden, and it can be hard to protect yourself, especially if the person who is harming you is a relative, friend or someone you rely on. If you are worried that you, or someone else, is being abused you should talk to someone. Police: If the crime is in progress or someone is in immediate danger, call 999: to report otherwise, call 101 or you can call Crimestoppers on 0800 555 111. BUT if the money is taken without agreement then this is wrong. running up debts in your name. Keep yourself safe from loan sharks. More information here. Mrs P’s daughter and son in law were going to be homeless so she let them move in with her. As time went on, Mrs P’s health was declining, and she became more and more reliant on her daughter and son in law to look after & help her. Mrs P’s eye sight was getting worse, and eventually Mrs P’s daughter was in control of what information Mrs P was getting about her money, and Mrs P felt grateful for this help, especially because her daughter told her that money was tight and they had to watch what they spent. Mrs P had a fall and had to go to hospital and then for a period into a nursing home before going home. It was then that she told workers that she was enjoying the food because at home they could not afford to eat so well. This didn’t sound right, so Mrs P was referred to Money Advice Plus, to check that she was getting all the pension that she was entitled to. We discovered that Mrs P had plenty of money in the bank & plenty of money coming in! Her daughter and son in-law had been lying to her to stop her spending the money that they viewed as their rightful inheritance. People who find out that family members have been abusing them may feel really torn. They may want the abuse to stop, but don’t know how to do it on their own. They don’t want to ask for help because they are scared that someone that they love might get into trouble, or go to prison, or that it might ruin their family relationships. A lonely person may feel that they are paying for company and might prefer to keep things as they are, rather than losing contact with someone who takes money from them. It may feel that by reporting abuse, of yourself or someone else that you are opening a can of worms & relinquishing control – that wheels will be put into motion, and then the outcomes or consequences could be frightening; For example: will you get friends and family into trouble? Will the affected person lose control & independence & be forced to go into care? The answer is no! The affected person will always be at the centre of the investigation, and their views and wishes will always be the most important consideration. The Care Act 2014 sets out a clear legal framework for how local authorities and other parts of the system should protect adults at risk of abuse or neglect. Making Safeguarding Personal was a best practice approach & a programme which certain local authorities had signed up to prior to the care act. The stress is on asking what outcomes the affected person wants. It’s not always easy to know what outcome you want, especially in a complex situation with family & friends, for example. You should be involved in the discussions about the options, and risks, and you could be offered advocacy to help you clarify your position. Also that people can choose to take risks if that is what they want to do. Mrs P was upset to find out that her daughter had been lying to her, and her daughter stopped visiting her in her care home for a while. 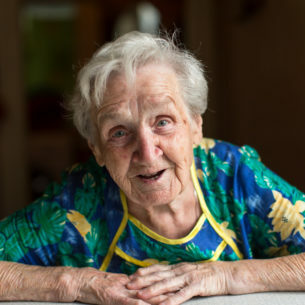 Mrs P was soon well enough to return home, and when she did, a care agency started working with her, visiting once a week to get her shopping for her. Money Advice Plus took over helping with money, and we made sure that Mrs P’s money was safe, delivering cash to the care agency so they could do the shopping. When Mrs P wanted any extra money to buy anything else she phoned our office, and we delivered it to her in her home. TOP TIPS: How can we protect ourselves from financial abuse? Do not rely on any one person – rely on 2 people! If you have 1 person helping you with your money it is pressure for that one person, and however trustworthy they are if something were to go wrong, or they were to make a mistake, then they could be in the frame. Do not give out your card and pin number to anyone – there are other ways to access cash if you need help. Check your bank statements and make sure that you know what the transactions are. Have an idea of what transactions you should normally see going out of your account, and what your balance should be, so you know if something looks wrong. Don’t keep large amounts of cash; Put them safe in the bank. If you keep money around in your home ensure it’s out of the way of casual visitors. Talk to others, if something feels wrong. Don’t be scared to ask questions. If someone shops for you, be clear about what money you have given them, and what change you expect. Set out the expectation at the outset, eg. “how much do you think that will cost? I will give you £10 & you can bring me the change” so as to avoid a misunderstanding. Don’t have more credit cards or accounts than you need. If you don’t use the account, close it. Not everyone can do all of this on their own – don’t be afraid to ask for help. If you live in Brighton & Hove, call us at Money Advice Plus.